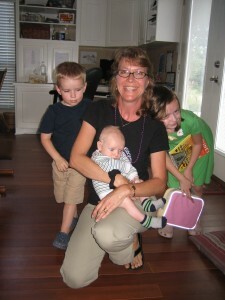 I am a postpartum doula and childbirth educator who has been supporting families in the perinatal period since 1995. (I’m retiring from birth doula work after 20+ years of being on call!). My role as a doula and educator is to help you prepare for the most positive and joyful birth and postpartum experience possible through education, empowerment, and support. I truly love the work that I do. Allow me to gently guide you through the journey into parenthood. Specializing in Williamson County, North and Central Austin areas. How does a doula really make a difference? Results from different studies have all suggested that having a doula reduces the overall cesarean rate by 50%, Pitocin use by 40% and requests for epidurals by 60%. The use of a doula also showed a major reduction in the length of labor due to fewer stress hormones being produced in the laboring woman’s body. — The Doula Book © 2002; Klaus, Marshall, Klaus and Kennell. Copyright ©2017 Shelley Scotka. All Rights Reserved.